It all started as a hobby, something that Manuela Garcia knew how to do since I was a girl, to mix things up and make their own creams. After years of learning, today aims to grow with Essencialls, their brand of creams, toners and facial masks-organic made in Church with products of the area. Manuela won one of the 64 subsidies to the artisanal mining program, which launched last year, the Government of San Juan, through the Ministry of Mining. Your project is one of the more original as regards the exploitation of clays for cosmetic use.The factory of natural cosmetics is on the stay Guañizuil, where Manuela lives with her husband. The passion that gets to tell you what that does is contagious. Their clients say that the creams are loaded with the same positive energy of its producer, and to the peace of the stay iglesiana where they are produced. 2 years ago started to develop products of organic cosmetics in the traditional way for sale. 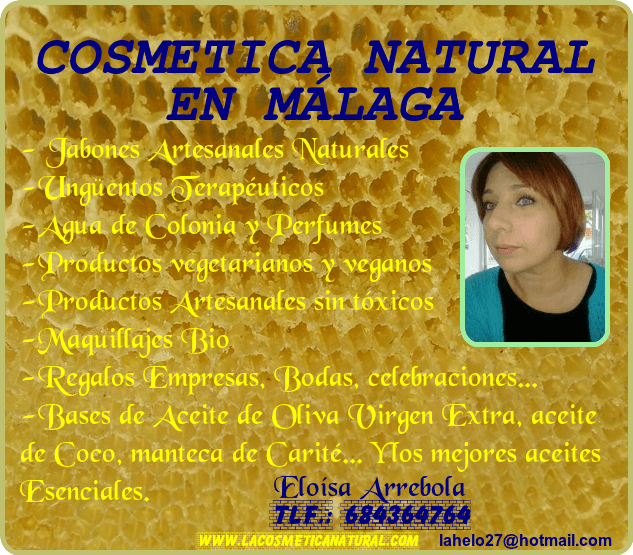 Did several courses and workshops and launched its brand of natural formulas without chemicals. Started with a cream and an essence of roses. Listening to the radio he learned of the call for projects for the artisanal mining. In their line of products is missing one high in nutrition. “I had researched the properties of the minerals in the skin. The consultants of the ministry encouraged me and helped me a lot to assemble the project. The product is a clay mask with thermal Pismanta, and mud for the body, on the basis of clay rich in minerals, very beneficial to the skin that have to have healing properties for the whole body. The clay mask has a component plant, use what is in the area, in this case, creosotebush, eucalyptus, pine, rosehip, lavender, which combines and enhances the properties of minerals. For example the copper that has the clay helps in the production of elastin and collagen in the skin, is anti-bacterial, ideal for people with acne. The sulfur helps to keep the pigmentation of the skin and regulates the sebaceous secretion,” he said. In the raw, Manuela uses a 70 % of own production, makes the extracts, macerated, tinctures, distillates vegetable-based organic, zero chemicals. Is expanding aromatic varieties in your garden iglesiano to add to its production. The wax used in creams comes from hives that have her husband in Church. Although some things, such as butter of carite, or argan oil, only produced outside the country and purchase imported, provided that they are organic products. Program miner earned $250,000 and has already received the half with what bought a distiller industrial stainless steel manufacturing in Córdoba, to order. With this alembic 100 liters will be able to accelerate time and produce more volume. For the second stage, the goal is to buy a press for seeds and equipment for grinding materials, finish the construction of the workshop and to fine-tune the technical advice of the formulas. Analyzes the products in the Institute of Technological Research of the Province, which performs bacteriological analysis. “Remain artisanal products, don’t go to ANMAT, but I want you to have all of the controls and a nod from professional formulas in the whole process,” said Manuela. The sales of its products carried out through some friends that live in the City, to order, and has 4 points of sale fixed. For example in Church are selling in the node of Tourism. In Facebook also receives orders on your page Essencialls. In the future want to integrate the sales channel on line the Ministry of Production. In Europe the natural cosmetics is a boom and the plus that the women are willing to pay for a product without chemicals is great. Here, the products iglesianos are cheaper than those sold in the booklets. “I’m just starting out and the goal is to buy and know the products, and also tell me that they like and that not to go changing and moving forward,” said Manuela. The nourishing cream 60 grams costs $150 and the set facial ultra-nourishing costs $200 and includes cleanser, Lavender, Mask of Clay Thermal Facial Tonic of Rose Water, Cream Ultra Nourishing Argan and Rose Hip oil, Lip Balm Refreshing Coconut and Mint. “This grant program helps us a lot, I’m very happy. If I would have had to buy that machine, and to achieve these quality standards, it would have taken several years. It is an opportunity to grow to another rhythm, another way would have been very difficult. In addition, through the Ministry I have been able to achieve advice in relation to the minerals because I was very dedicated to the vegetable and this is a technical support key, which I really appreciate. Because while it is traditional, I like to work with seriousness,” he said. What growth plans? Many: “the aim is to have products for the whole body,” he said.